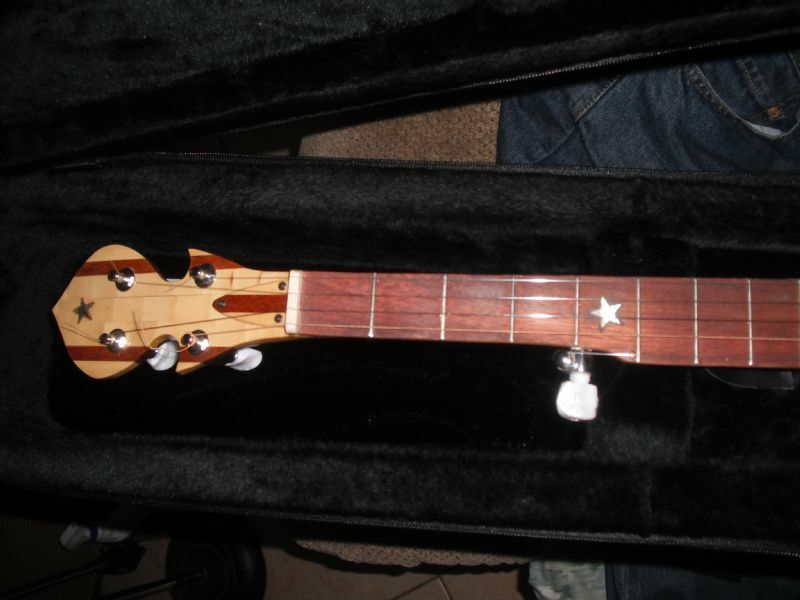 Any Interest In Cocobolo Fingerboard Stock? 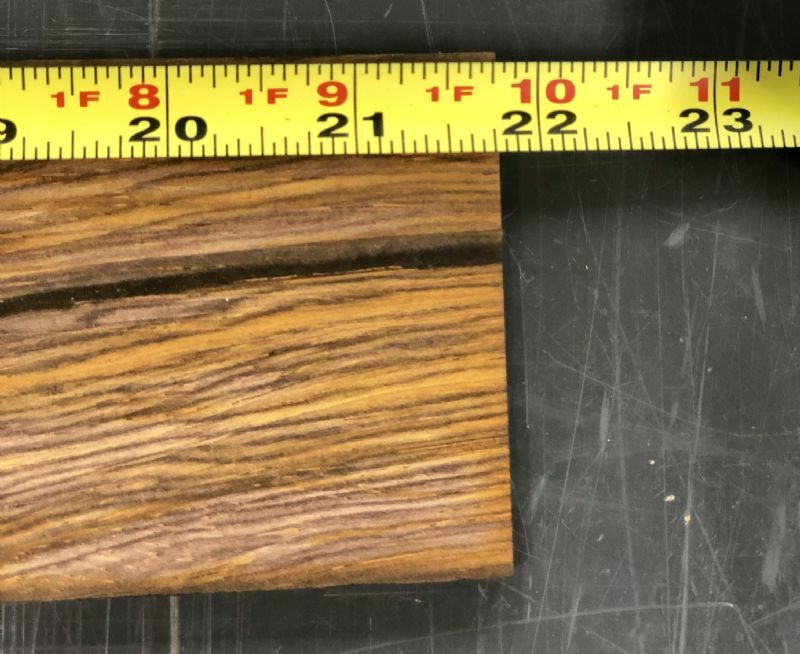 I'm trying to determine if there would be any interest in Cocobolo fingerboard stock before I post them in the classifieds. For those that are building or repairing a banjo. These fingerboards have some great figure, and for an additional cost I can slot them as well. Nice figure, but are those cracks down the middle? That's very beautiful wood. I won't be buying any since cocobolo is the only wood I have run across yet that makes me sneeze instantly on exposure to dust. I used it on a neck for someone once and I did get that neck done, but I won't use it again. 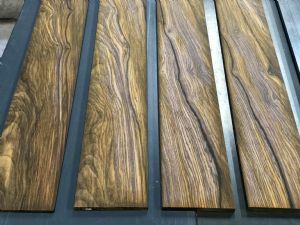 Of course each person is different and most people seem to have no problem with cocobolo, and some have reactions to woods that don't bother me. Well, there doesn’t appear to be much interest at this point, but thanks to those that did reply! This thread might get more traction in Building Setup & Repair. I'm always interested in using exotics in an economical and friendly way. Example: a dear friends new wife moved in with a solid Rosewood piano, to me that is the most indulgent use of a rare 250 foot canopy tree. It looks like 8 count and it's steam bent, just rabid over use of what, a 150 year old tree. And did they plant another two or four to take its place. 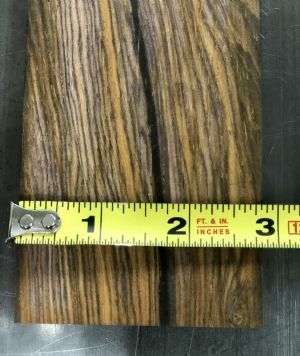 Where is the Cocobolo from. I would use them to make a very permanent and lasting and durable (just kidding) structural member of a l00 year neck. Ok, so please contact Helix off forum. I'm available all day in my shop. I already use 125 foot Canopy renewable Jatoba for fingerboards. Because anything that tight grained makes a great deck for the century battleships I build. I knew another couple who looked at a home for sale over here in Phoenix. When she saw the Mesquite Cabinets inlaid with Turquoise, she bought the rest of the house, termites and all. Hey. I have Chestnut that is eternal. Anybody using these hardwoods or sawing them should be aware that each of them has their own beetle (like 2 million species and counting) which evolved with them, and they can literally "call" them in the rain forest for proper disposal. The beetle is the only one with the jaws to start breaking down paper for breakfast. So each of the exotics has evolved their own chemical beetle repellant which hinders their predators (janitors) during their lifetimes. So those vapors and "fines" which land on your eyelashes are very irritating to humans who don't normally experience their finer attributes in the rain forest. Take real caution in working as hobbyists with the "blade burners." I once saw an entire wall of Ebony Clarinet blanks, just dreadfully indulgent. I don't make Ebony rims, nor necks. But I have planted Texas Ebony trees. I get better use out of real Persimmon which is a natural part of the Great North American Hardwood Golfer's Gallery, I mean Forest. Thanks Mark, call me if you like, Yes I would like to have them slotted over in Florida, not Arizona. Way too go. Bamboo neck with Jatoba fingerboard, simple Jatoba flat truss rod. This Cocobolo came from the pacific coast of Central America. It was imported to the US in 1989 and purchased by a luither here in Florida in 1989. He purchased 1000bf but only used about 250bf. It has been sitting in his shop since then and I was able to purchase the remainder. 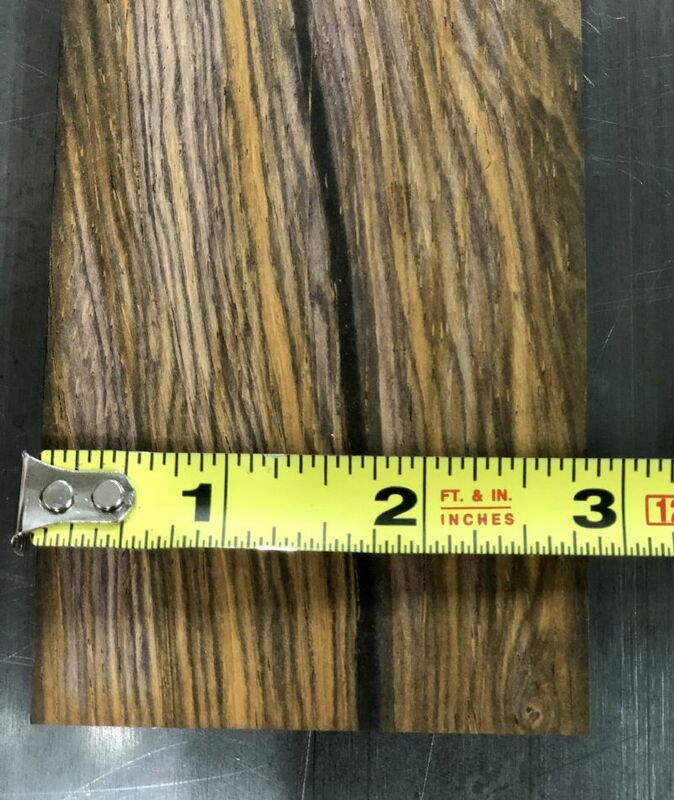 Since Cocobolo was added to the Cites list, the availability of this type of Cocobolo has been very limited. Not to mention the price has skyrocketed. The only reason I offered these for sale is because I was resawing some fingerboards for my own builds and decided to saw a few extra.